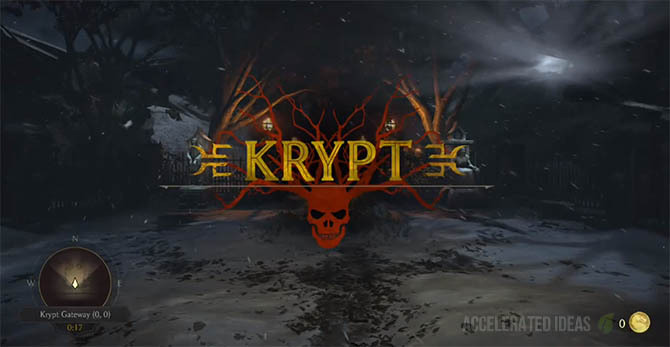 The Krypt is an explorable graveyard area in Mortal Kombat X that lies outside of the traditional fighting area. Players can visit the Krypt to spend hard earned Koins in exchange for unlocking new items. In this post I'm covering all of the Krypt items including their location and cost. Upon entering the Krypt area you have the option to unlock the first Tombstone for free, which rewards you with 4000 Koins. After that you'll need several thousand Koins to unlock the best Tombstones and gain access to new unlockable items. There are many other free tombstones along the way but they typically reward you with less valuable items such as concept art or music. It's worth noting that some secret items are only available at certain times, depending on the Krypt clock. You'll need to visit the exact position, at the exact time to claim these secret unlockables. Furthermore, these items only remain visible for a short duration so you've got to be quick to nab them. Apart from unlockable items, the Krypt also contains several jump scares and monsters. So far I've seen a wolf creature and a huge spider hidden in the Kaverns. There are times when you need to perform QTE (quick time events) to make it over jumps or past other obstacles. Inventory Items are special items that you’ll find scattered throughout the Krypt. They don’t cost any Koins but without these items it’s impossible to make it past certain areas of the map such as chasms. bridges, gates etc.. I've included the location of inventory items in the maps below as well as exact coordinates for each of the items. This list will be updated as I uncover more of these. Koins are the currency in Mortal Kombat X that you earn by playing the game. You'll be rewarded with basic Koins for completing matches and winning fights, but you'll earn the most from pulling off Brutalities, Fatalities and other lengthy combos. There's also challenges and trophies in the game, each of which reward you with more Koins to spend. First, a quick look at the Krypt map which I stitched together. As you can see, the map is split into different sections with a tunnel (north east corner), another portal in the opposite corner of the map (north west) and two cave entrances to the East. This is just one of four maps included in the Krypt, the others are: Spider Kaves, Shao Khan's Stronghold and the Netherrealm. After the first free Tombstone, there's two additional choices just behind it - one left and one right. Both of which lie before the entrance to the graveyard. The Tombstone on the RIGHT costs 1400 Koins and will reward you with a Skip Fight cheat. The second tombstone before the gates, left hand side, unlocks one of Kotal Khans fatalities called Tight Squeeze. 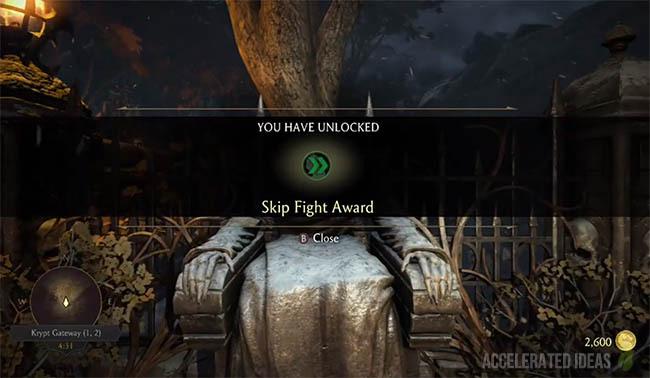 The golden chest which is immediately visible upon entering the graveyard costs less than a 1000 Koins and rewards you with the Easy Fatality perk - making it possible to pull off fatalities using only a few buttons rather than the full sequence. The Shrine Entrance is located upstairs at the rear of the Garden of Despair. Passing through the gate leads to Shrine of the Dead where you can gamble koins. This monument allows the player to gamble some of their coins in return for additional rewards, at the risk of wasting Koins. Rewards can be extra Koins or unlockable items such as Cutie Icons, Art etc.. There is also a secret to this shrine - if you gamble at least 10,000 Koins then you will be rewarded with the kamidogu, which is an inventory item required to travel to the Netherrealm (through the red portal). Message: The gate is locked from the other side. This area must be accessed from the Spider Kave Exit because the Krypt gate is locked from the other side (see map). The gates leading back to the cemetery area can be opened rewarding you with 2000 Koins. The entrance to this tunnel is blocked until you find Kenshi's Katana. A message is displayed saying "The souls of dead warriors are blocking passage to the Tombs. There must be a weapon to dispel these souls". The entrance leads to another map where you explore Shao Khan's Crypt. The spear is impaled through the head of an unknown fighter. This is an Inventory item that you’ll need to unlock blocked passages in the Krypt. An inventory item used to unlock blocked passages. Message: The entrance to the Mausoleum is frozen in a sheet of thick ice. You need Liu Kangs Fireball to progress through this blocked entrance and gain access to the White Lotus Temple. The Nether Gate is a red circular entrance which takes the player to the Netherrealm. It's located on the far north western side of the map, deep into the Krypt. In order to travel through this gate you need to find the Kamidogu. Note: The Spider caves are an additional area of the Krypt (separate map) that you access by passing through the tunnel in the Frozen Graves area of the Krypt. The inventory item used to access certain blocked doors and other areas. Exact name will be updated soon. The scorpion pit can only be reached if you have Scorpions Spear in your inventory. An inventory item required to enter the Room of Sacrifice. This chamber is reached from the Tunnel of Webs, which is accessible by a secret door from the Shadow Spider Kave. Requires Kung Lao’s Hat to progress. If you have the hat in your inventory you can rebuild the broken section which reforms The Hanging Bridge, leading to more Krypt items including a chest. You’ll also earn 4000 Koins for completing this puzzle. A gap in the floor prevents you from progressing further unless you have Raiden’s Staff in your inventory. Entrance to this room is blocked unless you have the Spider Gem which is found in Scorpions Pit (see map). This entrance leads to the Hidden Room but is blocked until you have found Raidens Staff. This is an inventory item required to progress further into the Krypt. This entrance is blocked unless you have Kotal's sword in your inventory. This is one of the harder puzzles in the Krypt. You need to pull the Lever's in the correct sequence to complete the challenge. Each of the Lever's has a certain number of spiders on it, correlating to the number for that Lever. To save you time trying to work it out just pull the levers in this order: 4132. You will be rewarded with lots of extra Koins and entrance to a hidden room. Entrance to this room is blocked until you've completed the Switch puzzle above. An inventory item used to access the Shadow Spider’s Hive. The entrance to this room is located in the Spider Gem Hold and you need Raidens Staff to get here. The room itself is small in size with three purchasable items. One for 680, one for 8880 and another for 3980 Koins. Shao Khans map is a seperate Krypt area (like the Spider Kaves) which is accessed through the portal entrance at Hollow Grounds. An inventory item required to gain access to the White Lotus Temple at the far side of the Cemetery Grounds area. This blocked entrance has three coloured cogs, each of which must be activated by pulling three separate lever's, which are spread throughout Shao Khans Krypt. You will earn several thousand Koins for every cog you activate, and another 10,000 Koins for opening the door. This entrance leads to Khans Fortress. This room is locked until all of the cogs are activated in Shao Khan's Tomb. An inventory item used to blast open the gate to the Shrine of the Dead. Once you've got your hands on the Kamidogu you can travel to the Netherrealm using the portal in the far north west corner of the Krypt map (The Nether Gate). 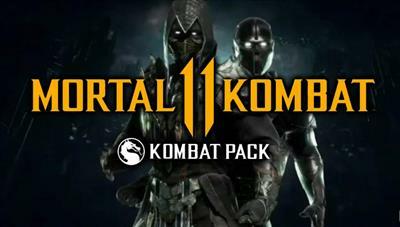 The Netherrealm contains additional unlockable items, costing several thousands Koins. A wolf jump scare that appears throughout the cemetery areas of the Krypt. The ravenous wolf will attack you at random intervals, providing the opportunity for some easy Koins through QTE's. A spider jump scare that appears in multiple locations inside the Araknia caves. This is a quick time event that you need to evade by pressing the corresponding button shown on screen. You will be rewarded with around 350 Koins for killing the spider but you will loose coins if you're not fast enough! A dead body will randomly jump out and attack you.